A father and son team of snowmobilers looked death in the face in Michigan’s remove Upper Peninsula after becoming lost in the Porcupine Mountains. The area is known for its rugged terrain and bracing temperatures, which are all the worse this year due to the continued Polar Vortex. Missing for more than 24 hours, Benjamin M. Jenney Sr. (40) and Benjamin M. Jenney Jr. (19) of Albertville, Minnesota, were at least two miles from the nearest road when their snowmobiles broke down. When they were unable to make voice contact via cellphone, they managed to reach their family members with text messages and give an account of their situation. On January 26, the pair had broken through the ice on the frigid Little Iron River and soon was in trouble. They managed to survive the night, facing a blinding blizzard and a windchill of 40 degrees below zero. Fortunately, Michigan State Police and the Civil Air Patrol, using geolocation data transmitted by the Jenneys’ cellphones, were able to identify a remote four-square-mile area where the pair were last known to be located. This allowed a team of rangers from Michigan’s Department of Natural Resources and hardy Michigander volunteers to engage in a search and rescue effort along the Little Iron River on the morning of January 27. It was not until 2 p.m. on January 27, that DNR officers Bill Doan, Jimmy Newkirk, David Merk and Emily Pleiness, were able to reach the hapless Minnesotans. They were found to be suffering from frostbite, hypothermia and dehydration. Taken to snowmobiles, they were taken by Michigan State troopers and area volunteers to a place where an ambulance rushed them to hospital. DNR officer Doan decided that the rescue would have to proceed on snowshoes because of the blanket of deep snow and open water on the river. Doan was accompanied by three rangers to hike in from the north end of the quadrant, while a DNR ranger and a volunteer snowshoed from the south over rugged ground, thin ice and frigid open water. The rescue was a team effort that involved a multitude of federal, state, and local agencies and individuals. The Department of Natural Resources coordinated the search and rescue effort with the Michigan State Police, and assistance from the Michigan Civil Air Patrol, Ontonagon County Sheriff’s Department, Ontonagon County Community Emergency Response Team, Ontonagon County Emergency Manager, U.S. Forest Service, DNR Law Enforcement Division, U.S. Air Force and Coast Guard, AmericInn of Silver City, Sled Necks of Wisconsin, Sonco Ambulance, and many other local volunteers. The Porcupine Mountains is one of the most scenic areas in the United States. Hikers, snowmobilers, fishermen, hunters, and sightseers come throughout the year to the area for camping and other activities. 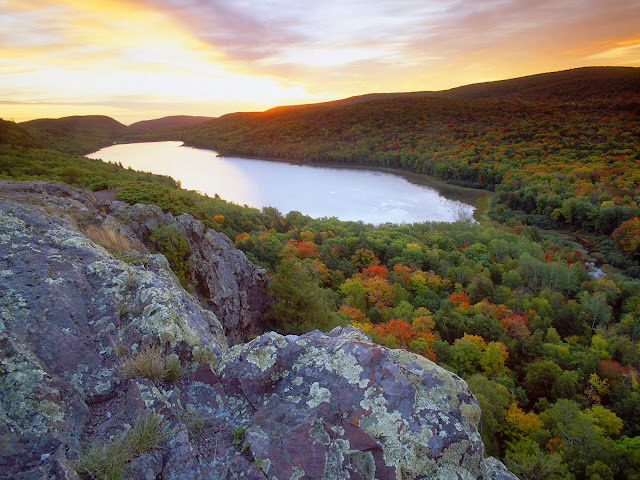 Among the sights are Lake of the Clouds, Presque Isle river corridor, and one of the remaining true wilderness areas left in the Midwest.